Accidents happen. Young or old, we sometimes slip and take a tumble. However, for the elderly a fall can result in much more than a few bruises and embarrassment. A fall may result in death for someone older! 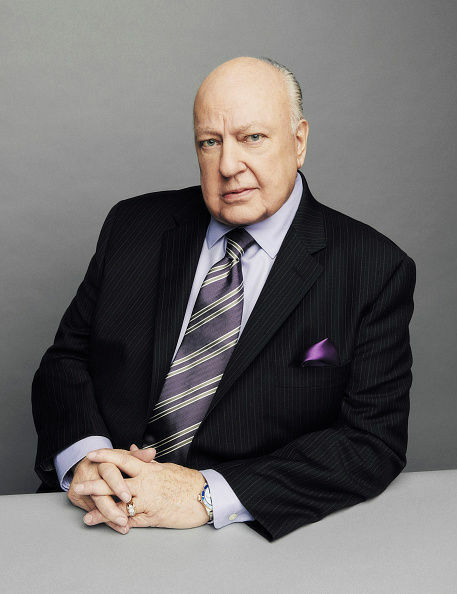 You probably heard in the news, Fox News Founder Roger Ailes recently died from a subdural hematoma (bleeding under the skull and outside the brain) after he fell at home in his bathroom. Ailes was 77. Ever since he was a child, he suffered from hemophilia, a rare but serious blood disorder that causes difficulty with blood clotting and excessive bleeding from even minor injuries. Although the Medical Examiner said hemophilia “contributed to his death,” what ultimately killed Ailes was the fall. Some of your favorite, older celebrities have also fallen! In 2010, actress Susan Sarandon arrived at the premiere for HBO’s “You Don’t Know Jack,” sporting crutches, after falling during a Goodwill trip to Haiti. Other famous fallers include former Secretary of State Hillary Clinton, former First Lady Nancy Reagan, evangelist Billy Graham, actress Ann Davis (Alice on “The Brady Bunch”), actor Robert Culp (Kelly Robinson on “I Spy”) and journalist Barbara Walters. The nation’s first commissioner on aging, William Bechill, died at the age of 78 after complications from a fall. Bechill was a recognized expert in long-term care and senior issues and was involved in writing the Older Americans Act. According to the National Institutes of Health (NIH), more than one in three people age 65 years or older falls each year. NIH also reports each year more than 1.6 million older U.S. adults go to emergency departments for fall-related injuries. The Centers for Disease Control and Prevention (CDC) reports every second of every day in the United States an older adult falls, making falls the number one cause of injuries and deaths from injury among older Americans. Many factors may contribute to falling. A home with loose rugs, slippery floors or bad lighting are all conditions that may lead to falls, but what is in your medicine cabinet may also be a large contributing factor. A recent study conducted in Sweden examines the risk of injuries from falls in relation to commonly prescribed medications among older people. The study says, “[o]lder people not only consume more medication but they also represent a group at high risk for adverse effects such as injurious falls.” This can be a lethal combination but difficult to avoid, as it may be hard to find alternatives to prescription drugs that treat certain conditions and relieve pain in older people. The researchers looked at more than 60,000 people in Sweden, aged 65 and older, admitted to a hospital because of a fall injury, between March 2006 and December 2009. To make the study as accurate as possible, researchers took into consideration factors including exact age, health status, gender, place of residence and more. Patients were taking many of these drugs before they were even admitted to the hospital for a fall injury. Researchers pulled this information from the Swedish Prescribed Drug Register (SPDR), which contains information on all prescribed and dispensed drugs at all pharmacies in Sweden. Many of these medications affect the central nervous system, which can cause the side effects of dizziness and loss of balance. “Ten of the top 20 most commonly prescribed medications, and in particular the three medications affecting the central nervous system (CNS), significantly increased the risk of fall injuries (highest for opioids and antidepressants)...,” the study says. Although the study does not give an exact percentage or number regarding the association between falls and medications, what the researchers did find is of the 20 medications that are most frequently prescribed to older adults more than half of these medications may significantly increase fall injury risk. So how can we be proactive? According to AgingCare.com, seniors need to “brown bag it.” This means they need to regularly check in with their doctors and pharmacists to discuss the medications they are taking and why they are taking them. This will make a well informed patient and make them more aware of the side effects of medications, like nausea and dizziness, which can increase the risk of falling. Exercising improves balance and strengthens muscles, which both help prevent falls. For tips on exercise for older adults, click here. Nutrition is also a great way to be proactive and may provide an alternative to opioids and antidepressants. Magnesium. Foods rich in this mineral include leafy green vegetables (like spinach), legumes, nuts, seeds and whole grains. Potassium. Figs, dried fruits (prunes and dates), nuts, avocados, bran cereals, lima beans, broccoli, peas, tomatoes, potatoes (especially the skins), sweet potatoes, winter squash, citrus fruits, cantaloupe, bananas and kiwi are all rich in potassium. Zinc. Oysters are the highest source of zinc. You can also get zinc from red meat, poultry, seafood, oatmeal, whole grains, cheeses, yogurt, beans and nuts. Copper. Dietary sources of copper include organ meats, shellfish, nuts, seeds, wheat-bran cereals and whole grain-products. Sodium. Researchers have recently established some genetic mutations in sodium channels (the pathway by which the cells exchange sodium across the cell membranes) can cause pain syndromes. Some people with a mutation get somewhat lucky, they can’t feel pain, while others have conditions that cause sudden bursts of severe pain. Simply taking more sodium won’t help. They need gene therapy or some way to fix or override the damaged cell structure. This is an area of research that interests scientists working on the problem of how to treat pain without opioids, which greatly contributes to falls among seniors. With proper diet and adequate critical nutrient intake, some seniors may be able to eliminate one or more of the multiple medications they may be taking, and one of these medications could be an antidepressant. Along with magnesium, zinc and copper, studies have shown the following minerals may help reduce symptoms of depression. Chromium. You can find this mineral in meats, whole-grain products, high-bran cereals, green beans, poultry, fish, broccoli, nuts and egg yolk. Iron. There are two types of iron -- heme and non-heme. Heme iron is rich in lean meat and seafood. This type of iron is more bioavailable, meaning your body can use it better. Non-heme iron is found in nuts, grains, vegetables and other fortified products. Selenium. Foods high in selenium include Brazil nuts, yellowfin tuna, halibut, sardines and chicken. Manganese. Dietary sources of manganese include nuts, seeds, green leafy vegetables, tea, wheat germ, whole grains, legumes and pineapples. Calcium. For foods rich in calcium, check out one of our other blogs here. To learn more about the critical minerals that can help with pain, depression, other ailments and reducing the risk of falls among the senior community, read Minerals - The Forgotten Nutrient: Your Secret Weapon for Getting and Staying Healthy.